The Schuylkill River Heritage Area is home to a vast number of bird species, both native and migratory. There are numerous sites and facilities where you can view and learn about birds. The Heritage Area is especially noted for its location along the Kittatiny Flyway, one of the nation’s most significant migratory bird routes. There are numerous wildlife preserves, gamelands, and arboreta that provide important bird habitat and make great birdwatching locations. Birders of all experience levels and interests will find that there are places throughout the Heritage Area that provide excellent birdwatching opportunities. 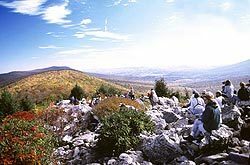 On the border of Berks and Schuylkill Counties in the Kittatiny Ridge region is Hawk Mountain Sanctuary, a key area for viewing birds of prey on their migratory routes. The Blue Mountain Wildlife Refuge outside Hamburg is home to a variety of plants, animals, and birds and provides walking trails. 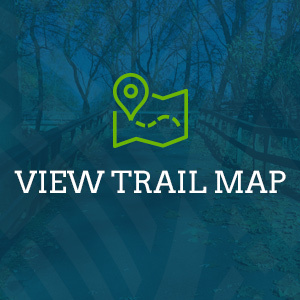 The Black Rock Wildlife Sanctuary and the John James Audubon Center at Mill Grove are great viewing locations in the Valley Forge/Phoenixville areas. In Philadelphia, Fairmount Park, Bartram’s Garden, and the John Heinz National Wildlife Refuge at Tinicum are great locations to view a variety of bird species. There are 6 State Parks in the Schuylkill River Heritage Area, all with trails and extensive woodland and other bird habitat. County and municipal parks also provide great opportunities for birders to enjoy some of the region’s outdoor assets. There are several PA Important Bird Areas (IBAs) in the Heritage Area that provide excellent birding opportunities. 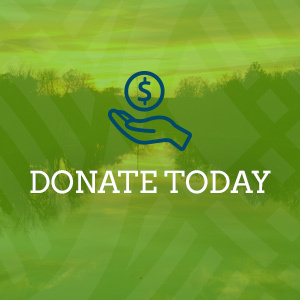 These areas include Hawk Mountain, Lake Ontelaunee, Blue Marsh Recreation Area, Unami Creek, Green Lane Park, French Creek State Park, Fairmount Park and John Heinz NWR. SRHA worked with the Delaware Lehigh National Heritage Corridor and the Lehigh Gap Nature Center on the Eastern Pennsylvania Birding and Wildlife Guide to provide birders with more information about where to best view birds and other wildlife in the region. Observe from a distance, especially around nests. If the birds alter their behavior because of you, you are too close. Stay on trails or roads to avoid damaging habitat or disturbing nests. Birders should also be well prepared for their trip and mindful of their surroundings when in the field. If birding during the fall or winter, be mindful of hunting seasons, especially in and around State Parks and State Game Lands. Wear blaze orange outerwear if you intend to be outside during these times. Birders will need a good set of binoculars, a field guide, perhaps a camera, and a checklist or notebook to record your findings. The National Audubon Society provides information about how to get started, choose your binoculars, and find the right guide.